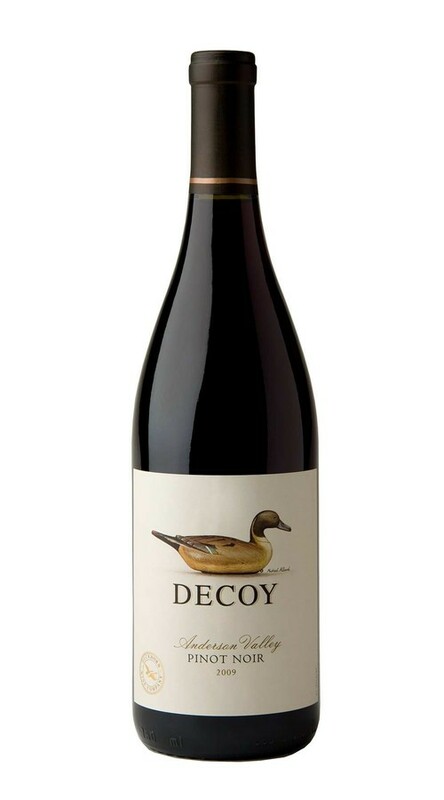 Decoy Pinot Noir highlights a plush and approachable expression of Pinot Noir that is crafted to be ready upon release. Decoy Pinot Noir highlights a plush and approachable expression of Pinot Noir that is crafted to be ready upon release. The aromas offer enticing layers of Bing cherry, anise, cola, mint and oak-inspired vanilla. On the palate, the wine displays lovely weight and balance with rich and appealing layers of raspberry, fresh strawberry pie, Santa Rosa plum and morel mushroom, all underscored by a streak of acidity that carries the flavors to a long, satisfying finish. The 2009 harvest began at a measured pace before the arrival of a ten-day heat wave. This heat wave was beneficial for two main reasons. Not only did it push the fruit in the warmer end of our valley to perfect ripeness, it allowed the vineyards in the colder “deep end” to catch up from a cool growing season. Just as important, the heat was followed by an extended cool-down, which essentially “held” the fruit in perfect balance as we picked block by block to garner the best wines.